THANK YOU so much to our supporters! 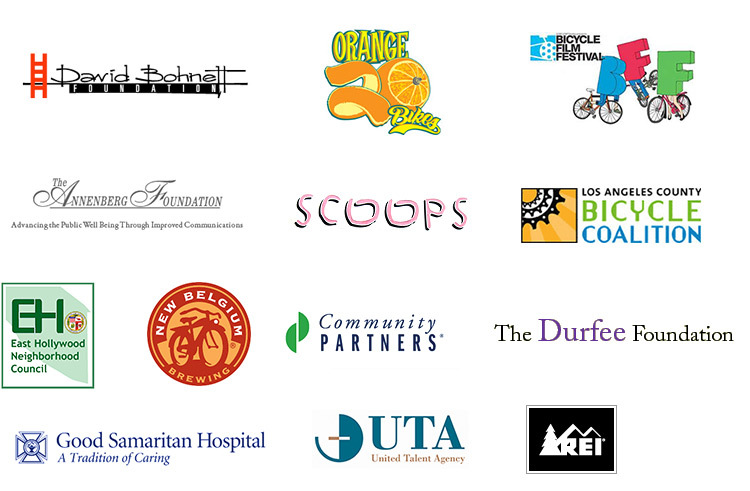 These are some of the foundations, organizations, companies and local businesses who generously support the work of the Bicycle Kitchen/La Bicicocina. And of course, we have UNDYING LOVE for the Los Angeles Eco-Village www.laecovillage.org, our very first home.